But if there’s one thing that will bring all sorts of people together on the holiday, it’s fireworks, so we headed to Byrd Park for the annual display. While some comrades had misgivings about the reception we might get, we were certain that it was worth a shot, and that even if it was a challenge, it’s the least we could do to remember Dan & Spit. To be fair, the speculation of hostility is not unfounded, as the Fan neighborhood is quick to bubble up in a drunken rage around holidays, especially with bold out-of-towners crowding in. On the other hand, the conspiracy theories about “antifa supersoldiers” planning to provoke a civil war seem to have subsided to the nefarious reality of persistent white supremacist violence. 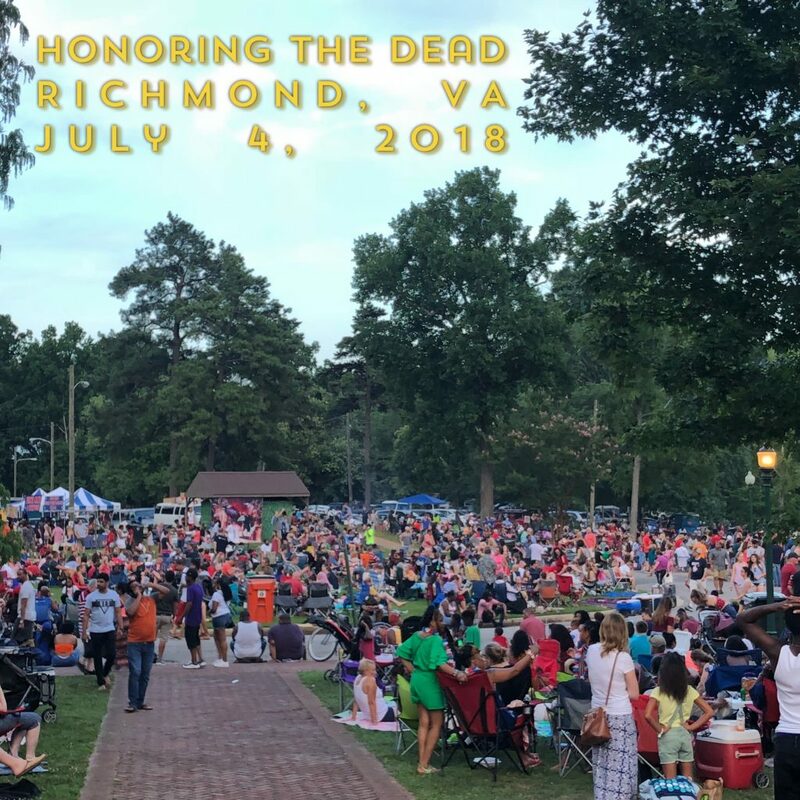 In reality, despite the familiar jingoism of our so-called Independence Day, the vibe is often much more family centered gathering than heated political rally. This year also seemed a bit more welcoming given that many people who would have come to Byrd Park had instead chosen to go to the faux-bourgeouis display at Rockett’s Landing. 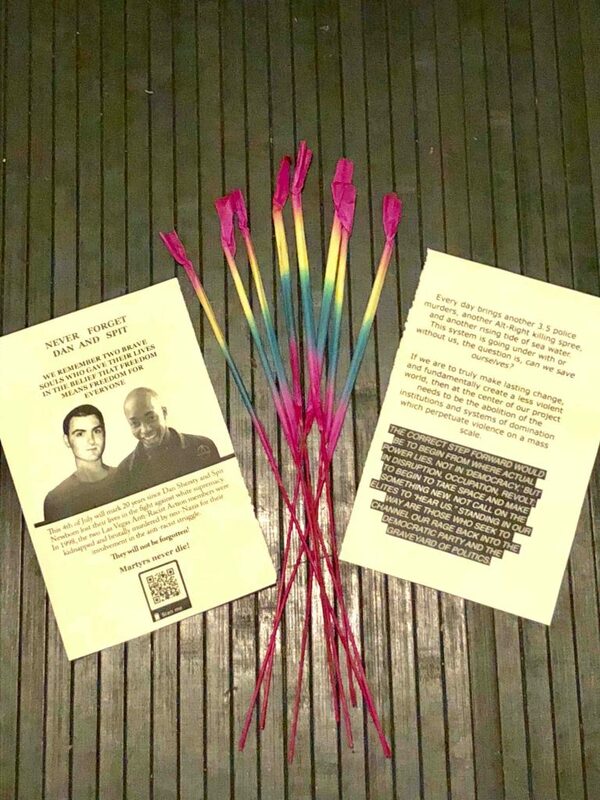 Along our walk towards the Carillon, we passed out hundreds of handouts and free sparklers. Not only were people excited and grateful for the free fireworks, but genuinely interested and sympathetic to our commemoration. We asked them to take a moment to think of Dan & Spit for a moment while they lit them. We sparked some pretty good conversations, especially among some of the younger folks we ran into. Before we knew it, we had passed everything out, with time for funnel cake to spare. After packing it in and catching the fireworks show, we got s ome of our friends together for a picture with the banner we painted and popped off some roman candles. We caught up on some of the other beautiful and inspiring contributions to this day by our comrades across the globe. All in all, it was a simple, solid day of remembrance , and one we hope to repeat. 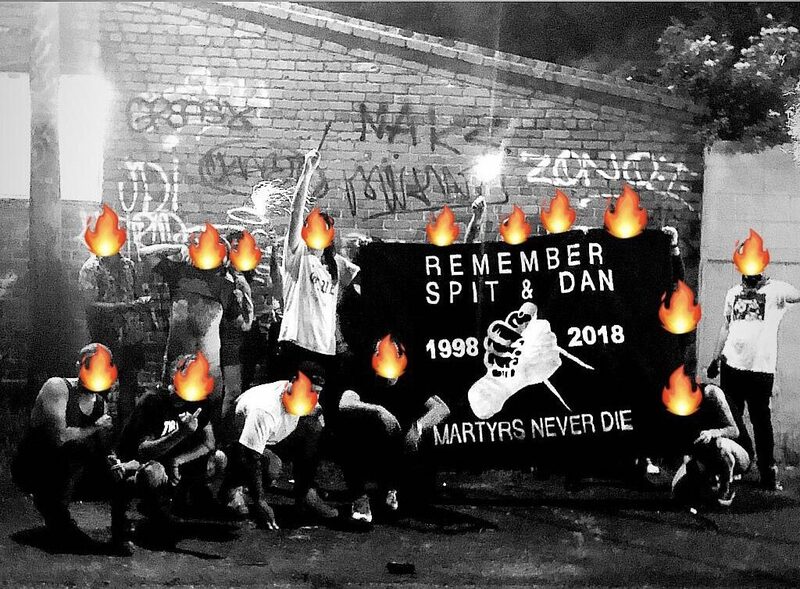 Previous PostPrevious Remember Dan & Spit!